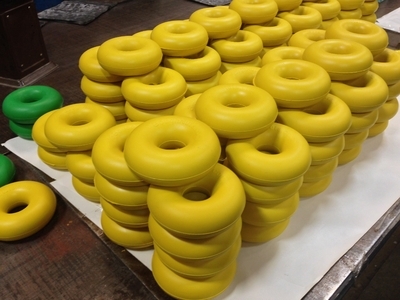 GoughNut - The original GoughNuts toy was designed to address the simple but serious issue of SAFETY. The GoughNuts chew toys are designed knowing that safety and fun go hand in hand. 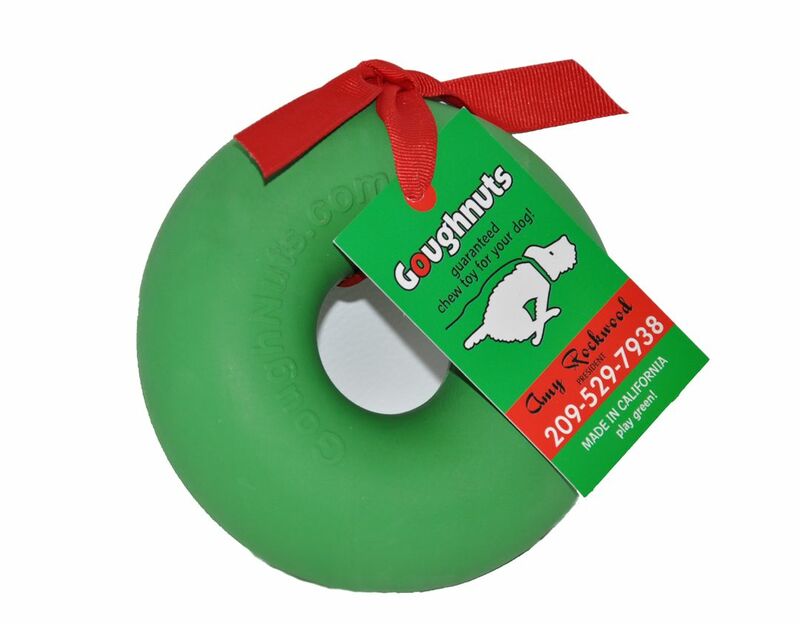 Each GoughNuts pet toy has included in it's design the GoughNuts patented safety indicator where Green means "GoughNuts" and Red means "Stop". 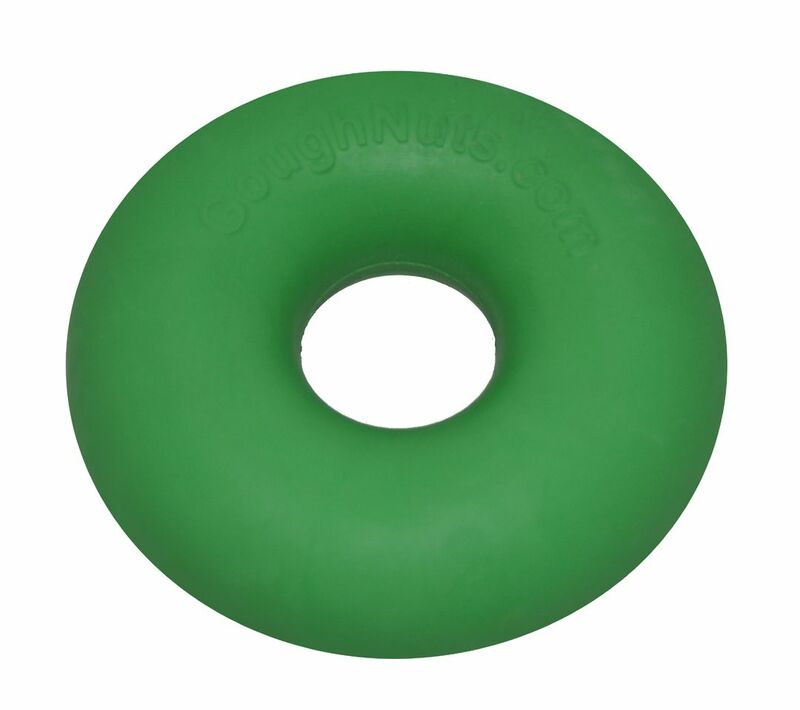 The GoughNut dog chew toy is 5 inches in diameter and weighs approximately 1 pound. This thing is ready to take a beating!